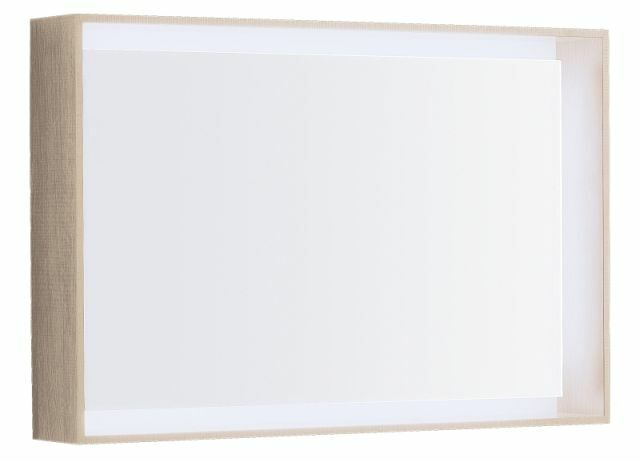 Oak illuminated mirror part of the CITTERIO range, featuring an internal mirror surface with an LED strip light. Can be mounted horizontally or vertically. 884 x 584 x 140 mm.